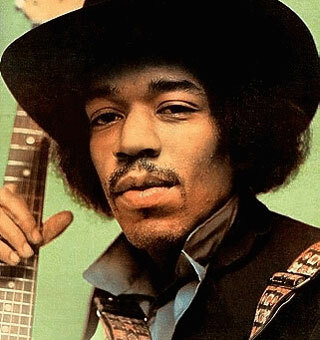 Jimi Hendrix Biography, Discography, Music News on 100 XR - The Net's #1 Rock Station!!! James Marshall Hendrix was born on November 27, 1942 in Seattle, Washington USA. Widely acknowledged as the finest Rock guitarist of all time, he sensationally performed playing right-handed with Fender Strat, or left-handed or, like an hurricane, behind his back, upside-down and with teeth; often with innovative electronic experiments like feedback, distortion and other effects. Hendrix's story began in the early '60s, when he played as sideman for many groundbreaking R&B artists, he moved to New York in the mid-'60s playing in Greenwich Village clubs, Animals bassist Chas Chandler saw Hendrix perform at a club there and invited him to London. 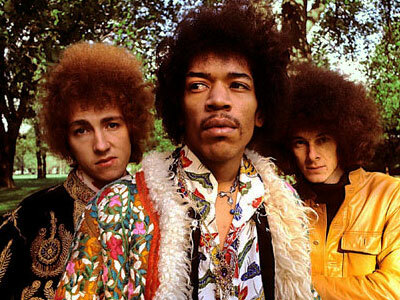 With Chandler acting as his manager, in fall of 1966, the guitarist with bassist Noel Redding and drummer Mitch Mitchell formed The Jimi Hendrix Experience. The London music scene in 1967 was exploding, "Are You Experienced? ", the debut album spawned memorable tracks like "Hey Joe", "Purple Haze" and "The Wind Cries Mary", which all entered the U.K. Top 10. In the States Hendrix's popularity was a bit slower, but when he returned to America, in June 1967, made an appearance at the Monterey Pop Festival, his performance was a musical and visual feast, culminating in a sequence that saw him playing the guitar behind his back, over his head, with teeth and then set the instrument on fire, praying to the guitar gods who blessed him. 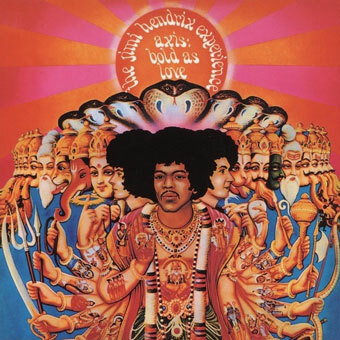 Experience's second effort, "Axis: Bold As Love", was released that same year, followed by 1968's double-set "Electric Ladyland" which spawned two U.K. hits, "Burning Of The Midnight Lamp" and "All Along The Watchtower" plus the masterpieces "Gypsy Eyes", "Crosstown Traffic", "Voodoo Chile". In October 1968, all three albums of the trio were in the U.S. Pop charts at once: "Are You Experienced? 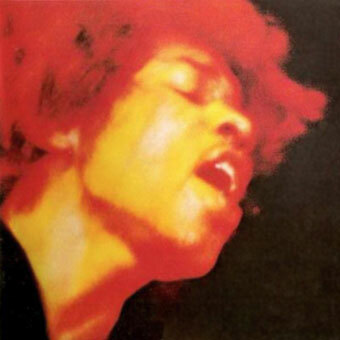 ", had peaked at #5, "Axis: Bold As Love" reached the #3 spot and "Electric Ladyland" hit #1. 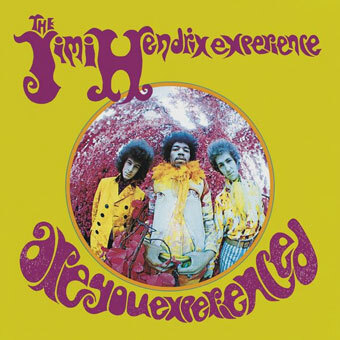 The Experience had broken-up in June of 1969 after a show in Denver when Hendrix was fighting with the band members. 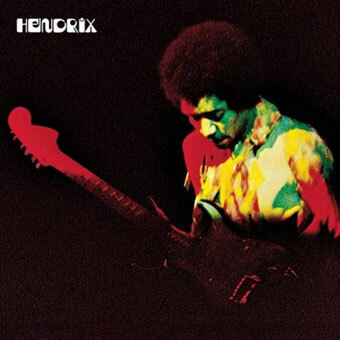 In early 1970, Hendrix with his longtime friends Billy Cox on bass and Buddy Miles on drums, recorded and released the live album "Band Of Gypsys" but the trio broke up after three concerts. The legendary guitarist performed at the Isle Of Wight festival and returned to London following a short European tour. At the age of 27, on 18 September 1970, he died of a drug overdose. Jimi Hendrix is buried in Greenwood Memorial Cemetery in Renton a suburb of Seattle.